In order to make changes or updates to your registration, please contact Leah McGonigle at lmcgonigle@insurancesociety.org or (856) 380-6889. Requests for refunds must be submitted via email to lmcgonigle@insurancesociety.org to be eligible for reimbursement. There will be a $25 processing fee for all refunds. Refund requests after March 26th will not be honored. See the refund grid below for deadline dates. If you need to pay via check, please complete this form and send in with payment. ​Joining us for I-Day? Great! 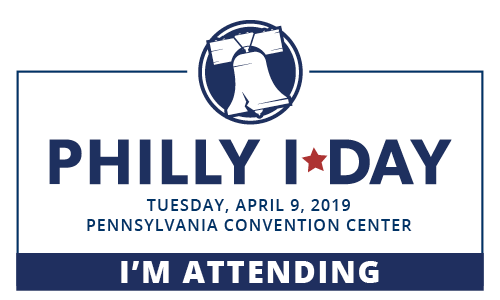 Promote your involvement with Philly I-Day! Use the Brag Badge below in your email signature, on social media, or on your company’s website. To download the image, just right click and save the image.